Evan Williams Black Label Bourbon. Heaven Hill Distilleries USA, the largest family owned independent Bourbon Distillery in the USA. Extra aged in new charred oak barrels for fuller flavour. Distilled and bottled in the USA. Bottled using famous Kentucky limestone water. Smooth mild and mellow flavour. Time honored recipes since 1783. 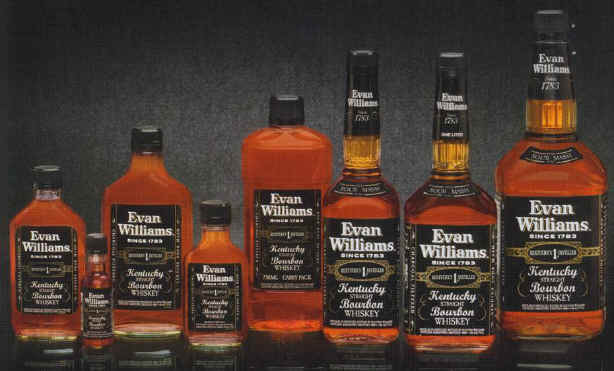 Read the history of Evan Williams here. Silver Medal 2003 spirits challenge. Note: Retail prices on this web site are in New Zealand Dollars only.